Leaf-peeping is probably not among most kids’ top ten things to do in the fall, but it’s often something parents like to do. Adults can get crafty around this time of year, pairing enjoying the fall foliage with something like apple-picking or visiting a pumpkin patch. Another way—a very active and thrilling way—to enjoy the season’s glorious colors with your kids is not from the ground looking up, but rather from a bird’s eye view, high in the treetops. Zip-lining and canopy tours are a spectacular fall activity for everyone in the family. There are several in the New England area to choose from; just don’t close your eyes as you soar through the air or you might forget why you came in the first place! 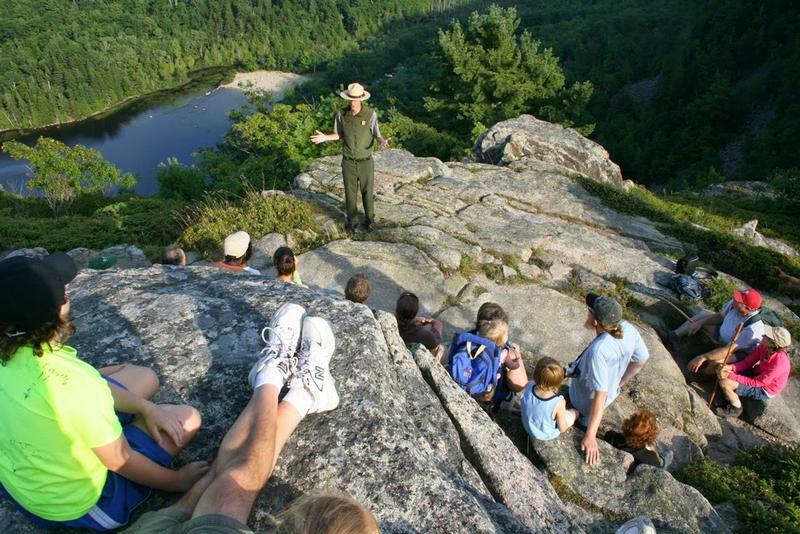 There are three options at this Western Mass outdoors spot: an introductory Base Tour zip course, with four lines (great for those who have never done zip lining); the Mountain Top Tour, which has seven zip lines, two hikes, two ski lift rides, plus dual racing lines; and finally, the Valley Jump, which has two 0.5-mile-long zip lines about 200 feet from the ground, and really is for older (at least age 12) and more adventurous kids. This Deerfield Valley company offers what it calls a “guided tree-based adventure” with eleven zip lines, two sky bridges, three rappels and two short hikes with a focus on exploring the treetop environment. The tour takes you down the mountain through a nearly mile-and-a-half-long course. Platforms are built directly in the trees and the canopy is quite close to you. The guides, plus interpretive signs, cover the environment of the upland forest in southern New England, as well as tree identification, natural history and the human history of the area. The Aerial Adventure Park in Hancock, MA has six different individual, elevated courses for different ability levels. Kids as young as age six can go on three of the courses. There are dozens of elements, including rope bridges, ladders, cargo nets, and zip lines, among other things, to challenge you as you make your way (self-guided) through the park. Every person is snapped into a guide line. You have to go in order of difficulty to access the next level of the course. The related Mountain Park (additional fee) offers more outdoor fun, with rock-climbing, a giant swing, zip line, and more. Located in the While Mountains, this canopy tour consists of nine cable zip lines, two sky bridges suspended 50 feet above the forest floor, and three rappels. 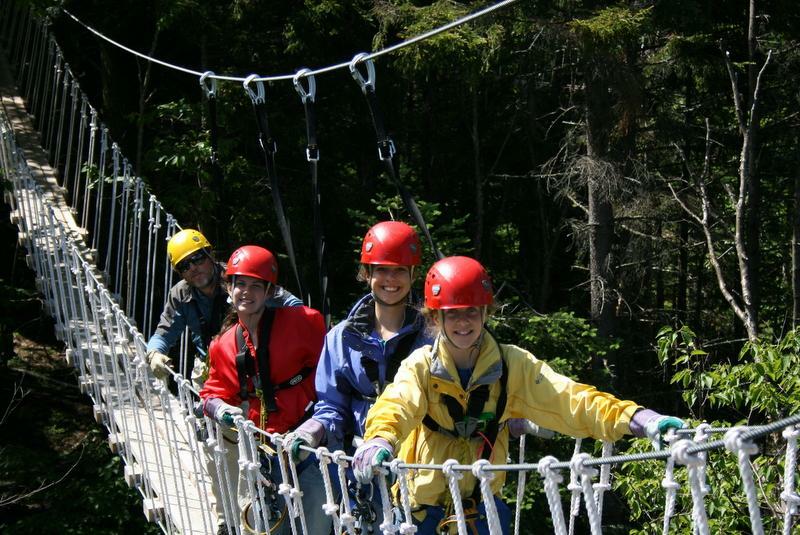 Bretton Woods also offers more than the average adventure course. Connecting many of the canopy tour zip lines are nature trails that bring you back down onto the forest floor to gather your wits. Guides, two per group of no more than eight people, point out interesting facts about native New England flora and fauna as you make your way along the course. The four-person zip-line at Wildcat in New Hampshire takes you 2,100 feet over trails, treetops and the Peabody River to a landing platform near the Main Base Lodge. Riders travel on cables suspended at heights up to 70 feet and reach speeds up to 45 miles per hour. Bonus: If that sounds too fast or too scary, you can ride a four-person enclosed scenic gondola to Wildcat Mountain's 4,000-plus foot summit to enjoy the views. Tip: Before you book anything, make sure to check the rules; age and weight restrictions apply for these activities and vary quite a bit.